With a recent study from Demographia suggesting Vancouver ranked the third least affordable property market in the world, it appears there may actually be some hope for local Vancouverites, who have been “hit like a ton of bricks” by foreign capital, according to city mayor Gregor Robertson. China’s capital outflows fell precipitously in 2017. According to a report from Pictet Wealth Management, capital outflows fell by 67% last year from $500B $166B USD. That’s an even bigger drop from peak outflows of $761B USD in 2015. While it remains to be seen if Chinese authorities will be able to keep a lid on outflows, it appears the actions of Chinese president Xi have been more impactful than any Canadian homegrown policies. While perhaps just a coincidence, it appears the slowdown in China is begging to rear it’s head in Vancouver. 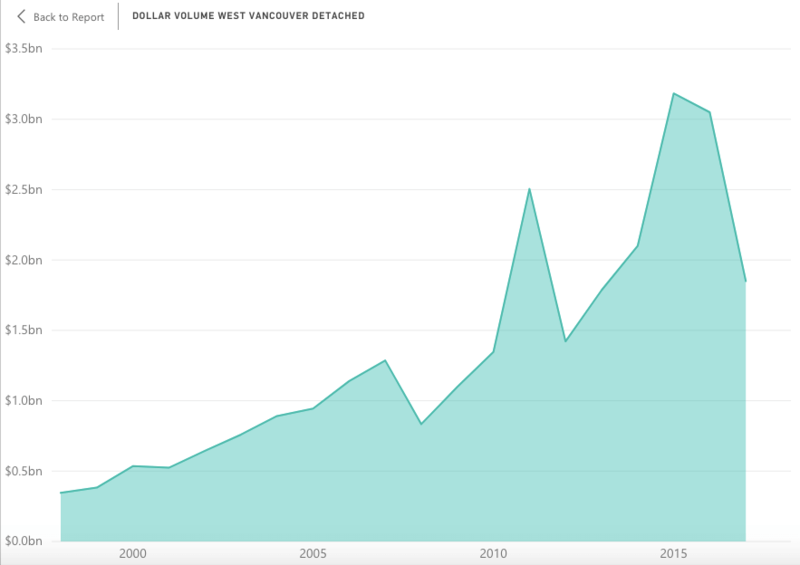 Total dollar volumes (money spent) in Vancouver’s most expensive property segments have seen a steep decline since peaking in 2015. 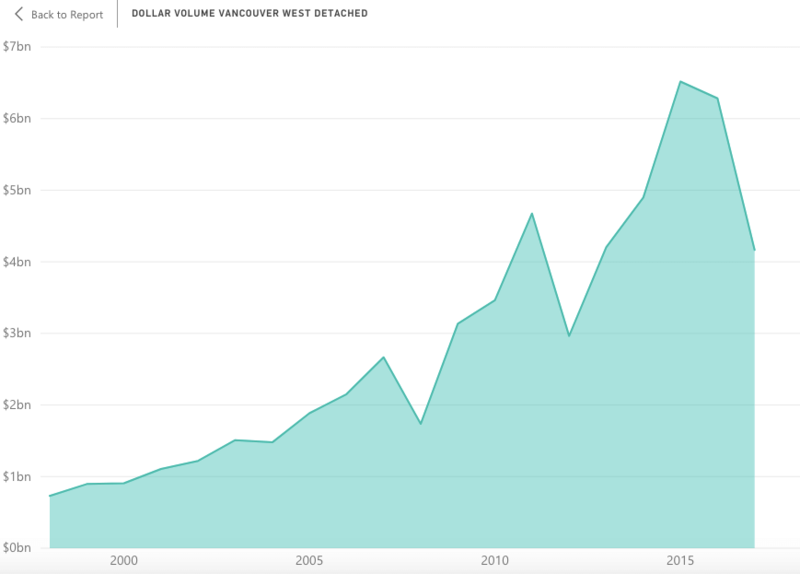 West Vancouver real estate, which is some of the most highly coveted real estate in the world, has seen dollar volumes plummet since peaking in 2015. Detached home volumes peaked in 2015 at $3.1B CDN and have since plummeted 42% to $1.8B CDN in 2017. Further, not to be confused with West Vancouver but Vancouver’s west side, which carries an average sales price of $3.4M has undergone a downwards shift in buying activity. 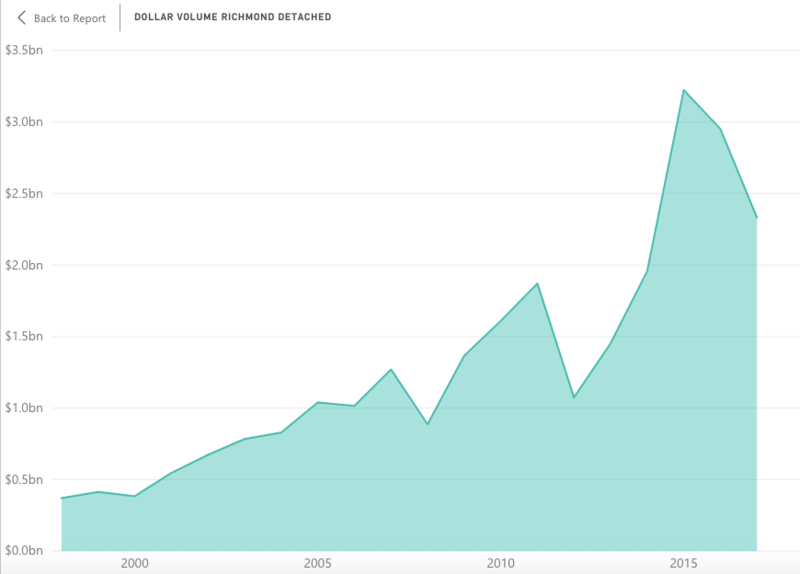 Dollar volumes have sunk 37% since peaking in 2015, falling from $6.5B to $4.1B in 2017. Lastly, Richmond, which according to BC Government data had the largest number of foreign transactions, reaching a high of nearly 25% in the summer of 2016, also had dollar volumes fall. Richmond single family dollar volumes have dipped from their peak of $3.2B in 2015 to $2.3B in 2017. A 28% decline.